You may have heard of the Lending Club shakeup in their executive team last week. The shakeup came from the fraud the former executives perpetrated on a small subset of loans. In response to these actions, the new CEO Scott Sanborn wrote a letter to larger investors about what happened, what they are doing, and how they are looking at and managing data in the future. The first document is the letter from Sanborn himself. Some highlights of the letter and presentation include the Audit that was done on 673,000 loans over a 2 year period and found few inconsistencies. A total of 99.99% of the loans audited were completely accurate or had changes that come through the normal course of business like an inadvertent double click by a borrower or a by a credit analyst at LC. The presentation also goes into more detail as to what data was examined, how and by whom in order to help us see how LC looks at data integrity. Lastly, a remediation plan (a plan to improve controls to benefit data integrity) including enhanced testing and greater validation requirements are identified as what Lending Club will do going forward to prevent these actions or catch them as early as possible when they do occur. Let's face it, Lending Club has messed up. Everyone makes mistakes so what people do when a mistake is made says alot about them. 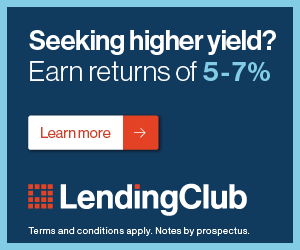 The first thing I like about what Lending Club has done was force former CEO Laplanche to resign. This move had to be tough for the company since Laplanche was not just the face of LC, he was the face of the whole marketplace lending industry in America. Yet, he was forced out quickly and decisively along with 3 executives who were in on it or knew about it and did nothing about it. The second thing I like is getting an independent Audit done. 99.99% of loans is a huge number in terms of accuracy and data integrity. I think you reading this along with me and everyone else would keel over and die if any US bank showed a data integrity of 99.99% on the loans on their books. This is a helpful reminder that while this fraud is bad and needs to be dealt with, the model and method of what Lending Club is doing is still successful. Banks would strive to have only 361 loans with misinformation or incorrect data in them out of 673,000, yet for LC 361 is 361 too many. Lending Club has some repair work to do and they have taken some good steps to start that process. Probable data were fitch in from a third party source or from the inside.Actual truth that data are secure and very confidential that only some of the few people have an access of it.